Of all books on bookbinding and book art, Philip Smith's New Directions in Bookbinding has over the course of several years proved to be the most interesting one to me. It was the first book that really got me into binding when I was a sorry little student searching for the meaning and beauty in the craft. I had the basic knowledge but hadn't seen anything to my liking. Now that I have grown and my mindset and skills have further developed, I can still find all sorts of new aspects in this book. New Directions in Bookbinding is above all an account of Smith's personal work, of his findings and observations. 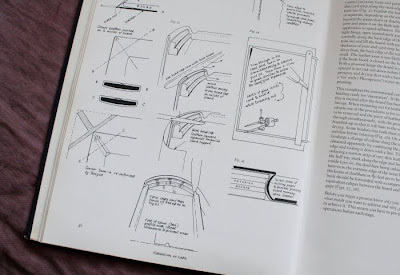 Regardless (or maybe because) of the aforementioned this book is also a great reference - not least because it has several pages of illustrations and diagrams of fantastic quality (drawn by Philip himself), all of which are especially useful for a designer binder and for someone like me who needs to check his facts every now and then. 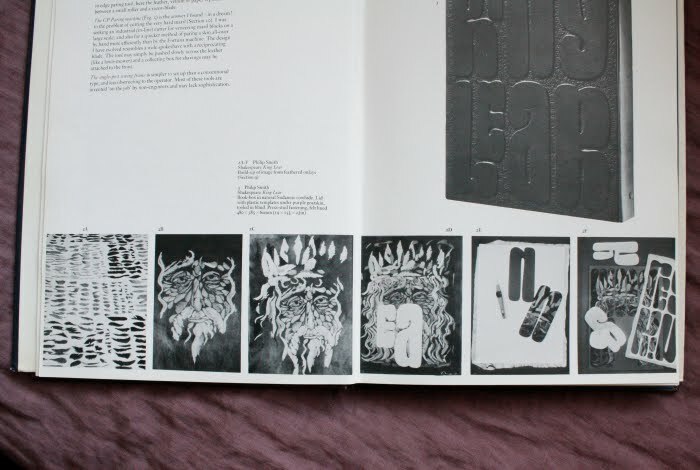 It features large, well-thought images of many procedures that one often tends to search from other bookbinding titles, finding only vague mentions or thumb-sized illustrations which are not very useful reference. The book comes with a couple of interesting appendixes depicting processes such as tanning or forwarding, and useful checklists on various parts of bookmaking. 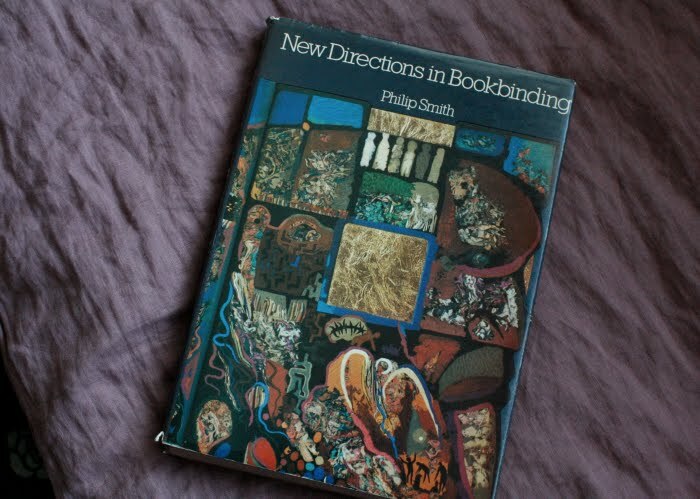 Philip Smith is one of my favourite binders for many reasons - not only because of his innovative and focused approach to book structure and design, but also because of his philosophical and holistic attitude that resonates in me. (His endless interest in the Silmarillion might be of some importance too.) I have found Smith's clear yet creative and undismissive way of presenting things very inviting and encouraging. I suggest you see some of his works and read some of his writings, and then decide yourself! The original edition somewhat suffers from lack of colour pictures. It features 109 photographs, most of which are in black and white, including many pictures of interesting bindings that appear a bit unclear in monochrome with all their inlay, onlay and other details. This to me is the only downside of the book. It was printed in 1974, which naturally makes it feel somewhat different compared to the candy-like modern-day books with lots of pictures but little actual content. It is still a great volume, and with its text it feels curiously timeless. In addition to being a ponder on visual and structural fluency, New Directions in Bookbinding also shows the reader several details on how Smith's now famous bindings (for example King Lear) were made and effectively describes some techniques invented or re-invented by him, such as maril and various board attachments, which makes me suggest this as a bedside reading and a workbook for all bookbinding aficionados who are, by now, perhaps slowly getting bored of the ever-so-useful Thames and Hudson Manual of Bookbinding. The craftsman tends by nature to be precise and pernickety, and abhors inaccurancy and blemish in his work. It is not surprising therefore that "randomness" is rare in craft-work. If it appears it is usually interpreted as carelessness and lack of control. Thanks for this review Veterok! I looked this book up, and it looks like if you have a copy you're lucky! The prices online are quite high for used copies.